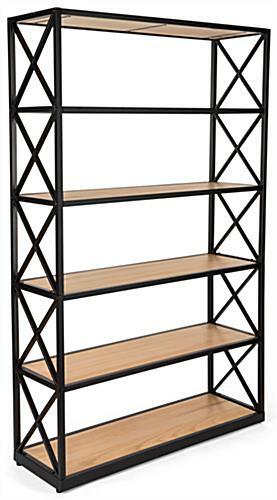 These rustic ironworker industrial shelves blend natural paulownia wood with a durable X sided steel frame for a modern retail feel. 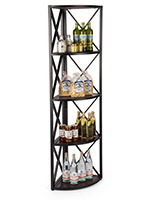 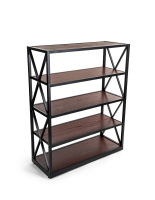 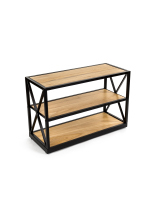 This contemporary display isn’t only stylish, the 6-tier unit with floor levelers is also very functional. 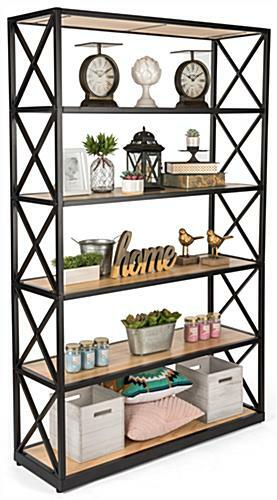 The natural finish rustic industrial shelves are perfect for creating a farmhouse aesthetic in your home or modern retail store. 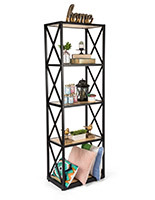 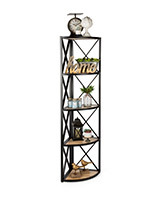 Six tiers with an overall 440 lb weight capacity provide ample space for holding apparel, decorations or coffee while maintaining a homey contemporary feel. 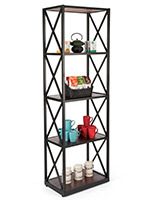 A natural stain is easy to clean and suits most farmhouse aesthetics. 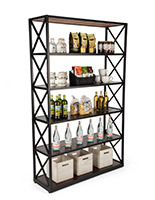 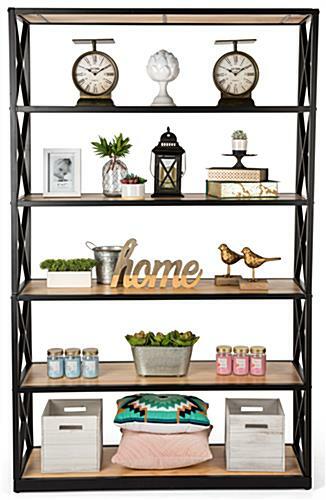 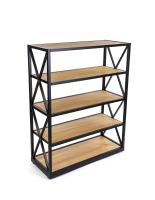 These rustic industrial shelves are a must-have for any modern retail store. 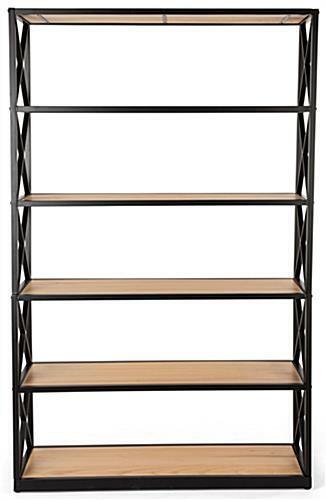 50.0" x 79.5" x 15.8"
47.5" x 1.0" x 13.8"